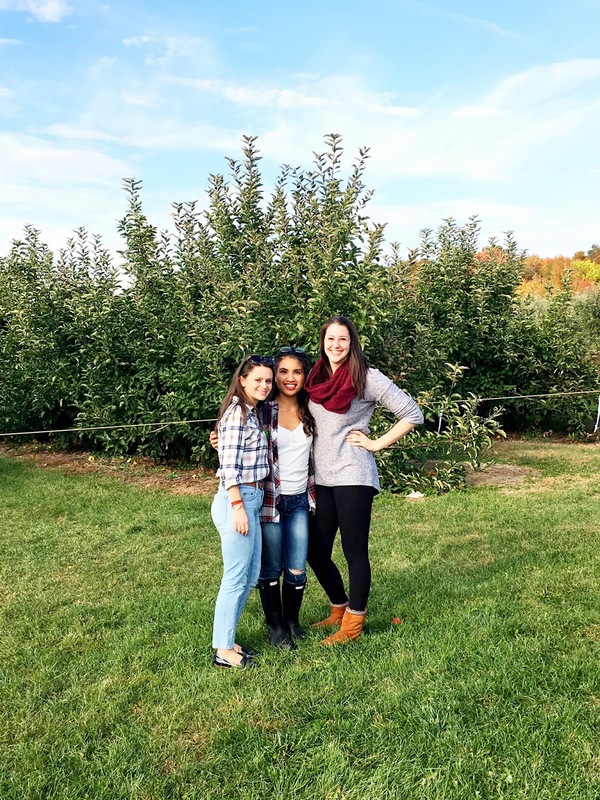 My friends and I had never gone apple picking together before, so when I Googled where to go in Fairfield County, Blue Jay Orchards in Bethel, CT was one of the first results that popped up. 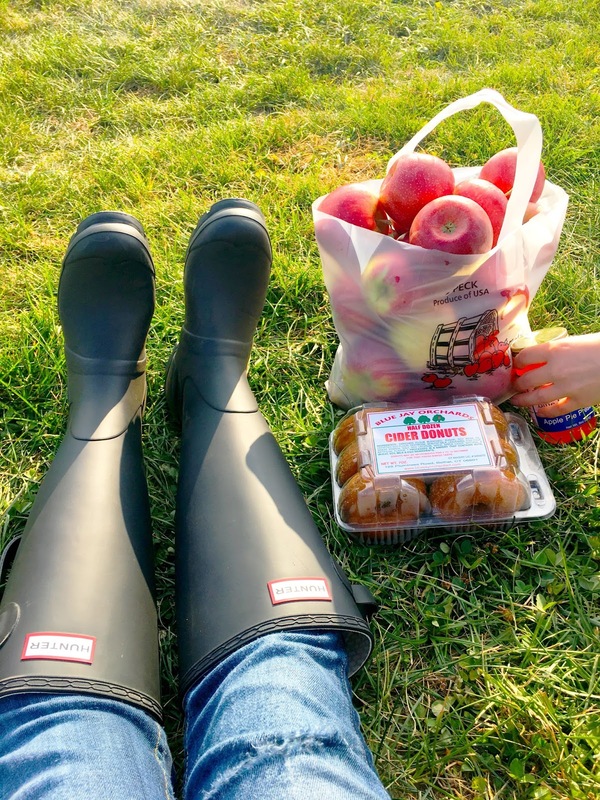 The farm dates back to 1934 and is recognized as a popular spot for apple picking. 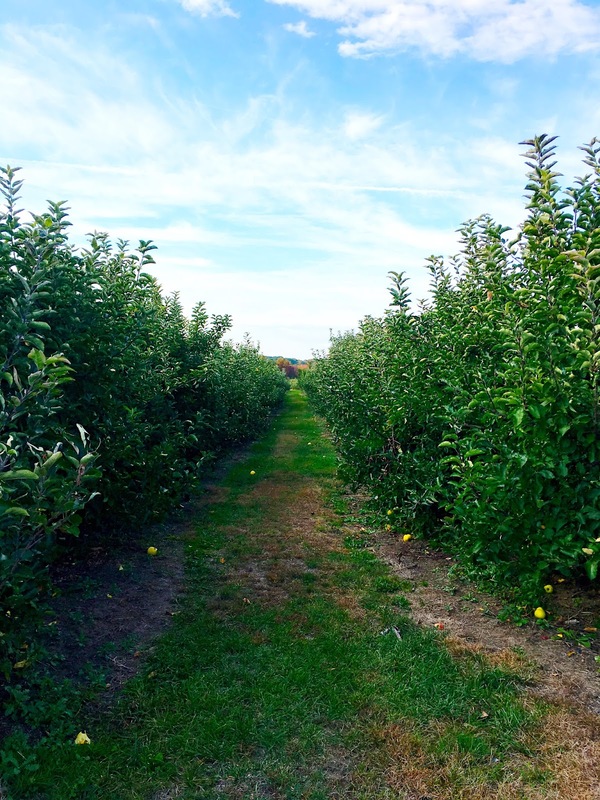 Named after the farm’s original owner, Blue Jay Orchards changed hands to the Patterson family in 1985 and has grown 30 varieties of apples on its 120 acres of land. Blue Jay Orchards is located at 125 Plumtrees Road in Bethel, CT—the scenic 40-minute drive from Westport is perfect for viewing the beautiful fall foliage. For those driving to the farm for the first time, it’s not as obvious to find as you may think… You may find yourself lost for a few minutes and driving slowly to appreciate the changing leaves a little longer. Once you find Blue Jay Orchards, a quaint apple orchard sits on one side of the road with the farm store, while the pumpkin patch resides on the opposite side by an old “grandmother willow” tree. It’s worth noting that the farm store carries an impressive amount of jams, preserves, baked goods and other delicious products made by the farm. We picked our pumpkins first, then moved onto the apples. We weren’t able to pick our own apples from the orchard, but there were several, pre-sorted crates filled with plenty of red and green goodness. Then, we went to the farm stand and finished the afternoon eating cider donuts by the orchard, watching the sun beginning to set. Be sure to check Blue Jay Orchards’ hours and activities before you make the drive!